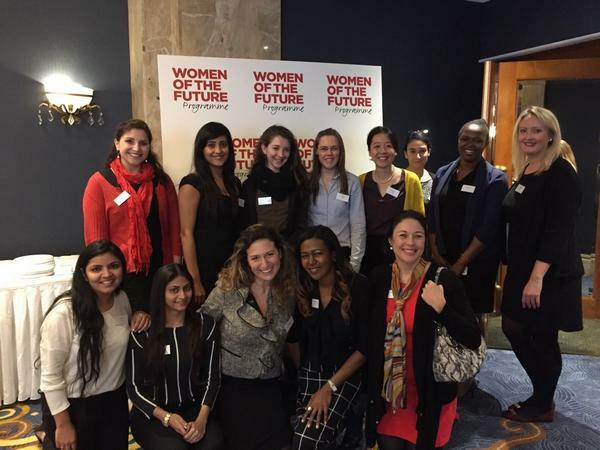 Last week I was lucky enough to join a group of 14 women from across EMC UK&I at the Women of the future conference where there were over 300 attendees from a variety of global organizations – It was a really interesting day and I thought i’d share some of my key takeaways. The theme for the day was “Stepping up to leadership” – a day of practical information, insights and inspiration. There were so many speakers from a variety of different backgrounds including CEO’s (of both enterprises and start-ups), entrepreneurs (inc. one from dragons den!) journalists, academics and even an MP! Each gave their stories, insights and advice as to what makes a successful leader. Every speaker was truly inspirational and interesting, the day flew by! The opening speaker talked about why diversity is important and stated that recruiting women has become strategic. Surprisingly it was stated that companies within the fortune500 that have a higher level of gender balance are more successful (In my view this is very generic – we don’t know what “successful” means), however still makes you realize the importance. There was also a discussion about not only recognizing that men and women have different skill-sets but interestingly something not always considered is that men and women have different career cycles. Bravery: This stuck out the most for me, previously I never really considered bravely as a leadership value! She talked about taking “brave” decisions whether that be a decision on a next step or whether that be a decision to apply to a new role or take on a new challenge. It was suggested that women are far less “brave” than men! The discussion then went on to talk about how important confidence is… one thing that made me laugh was the concept of “imposer syndrome” feeling like you got to where you are by fluke/luck! It seems that this resonated with a lot of people in the room. Authenticity: I found this speaker very inspiring and really made me think about how I would want to be perceived by others. She talked about how a leader needs to be authentic & just be yourself! Become someone that excites, inspires and motivates others! She described a true leader as someone that is the “glue” who listens and adapts to different personalities within a team. Collaboration: This was interesting to me because it was focused on how collaboration means something different today to what it meant before we were “ruled by technology”, we live in a world of social media and remote workforces – something we all take for granted but what stood out the most for me was about how different people respond and work differently in these circumstances. Some love technology whilst others may hide behind it – as a leader we need to be able to recognize this and collaborate across the board. Other attributes of a leader and advice pretty much all speakers touched on included – always listen, be open and transparent, have a vision, stay calm in a crisis, be passionate, never stop learning, offer encouragement, see the bigger picture… and so many more! Explore as many areas of the business you can! Love what you do… and do the things that excites you. Your passion will rub off on others! Overall a very inspirational day… and made me consider the areas that i’d like to develop in.